Looking to add a modern touch to your home interior and brighten up any room? Introducing the newest piece to our collection of modern table lamps, coming from the Smoked Siena Mirrored Collection this beautiful Smoked Siena Mirrored Mirrored Table Lamp is a perfect small addition to add to any room for that instant interior upgrade. 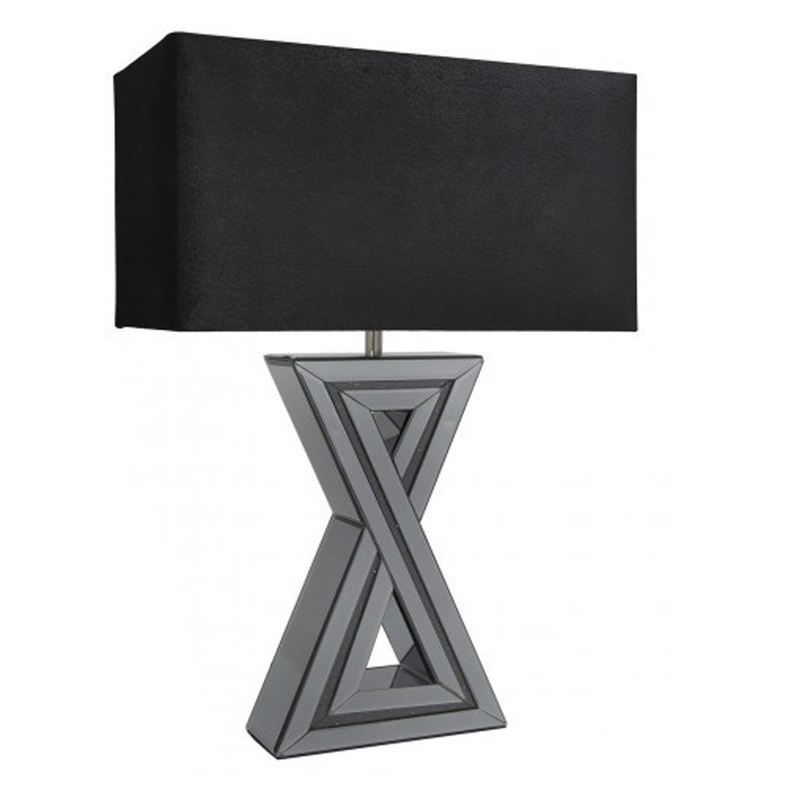 With a mirrored and crushed diamond design base it's topped off with a black silk shade.